Enjoying excellent positioning directly adjacent the playground, skatepark and recreational facilities of Morningtonâ? ?s Civic Reserve and just 850 metres to Bentons Square Shopping Centre, superb lifestyle convenience awaits in this immaculately presented three-bedroom residence with large detached home office. Private and serene behind dual gated entry, couples, families or downsizers will delight in the spacious light-filled living area with soft tones, plush neutral drapery and a toasty gas log fireplace in a brick surround. A second living/meals area beyond the sundrenched kitchen with Asko dishwasher and 900ml oven flows out through sliding glass doors to a covered barbecue deck and sun patio flanked by a low maintenance and fully fenced garden. 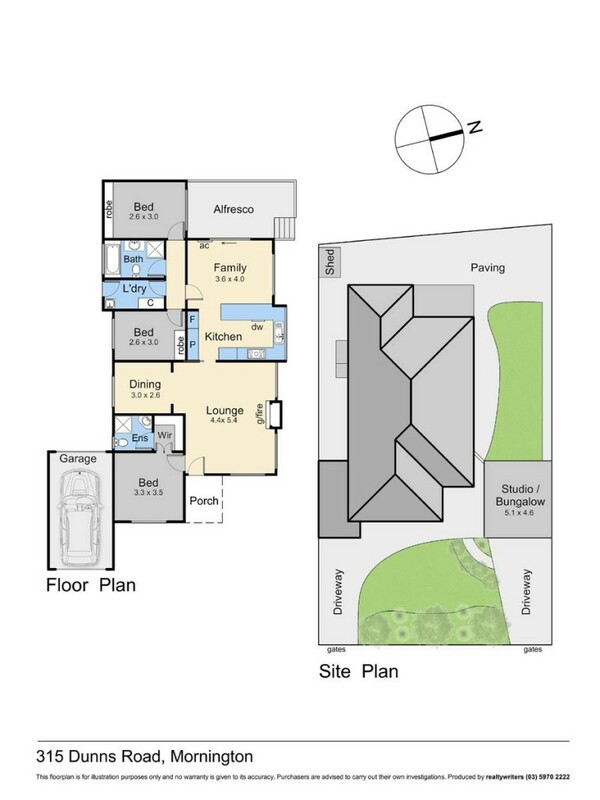 Family zoning situates the master bedroom with walk-in robe and ensuite off the entry, cocooning kids down a separate hallway with a full family bathroom and bubbling spa to make bathtime a joy. As a rare bonus, a separate bungalow with timber floors and direct access off the driveway offers additional space for growing teens or those looking to fulfil their work-from-home aspirations.